شهر گوآهاتی (انگلیسی: Guwahati؛ هندی: गुवाहाटी) با جمعیت ۹۵۷،۳۵۲ نفر در ایالت آسام در کشور هند واقع شده‌است. ↑ "An insider's guide to Guwahati: more than just a gateway to India's northeast". The Guardian. Retrieved 5 October 2015. 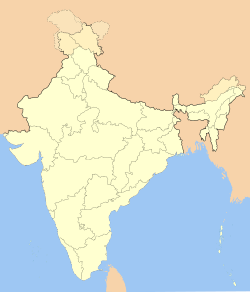 ↑ "Kamrup Metro District". Kamrup(M) District Administration. Archived from the original on 11 September 2015. Retrieved 5 October 2015. ↑ “Guwahati City Census 2011 data”. Retrieved February 2019.